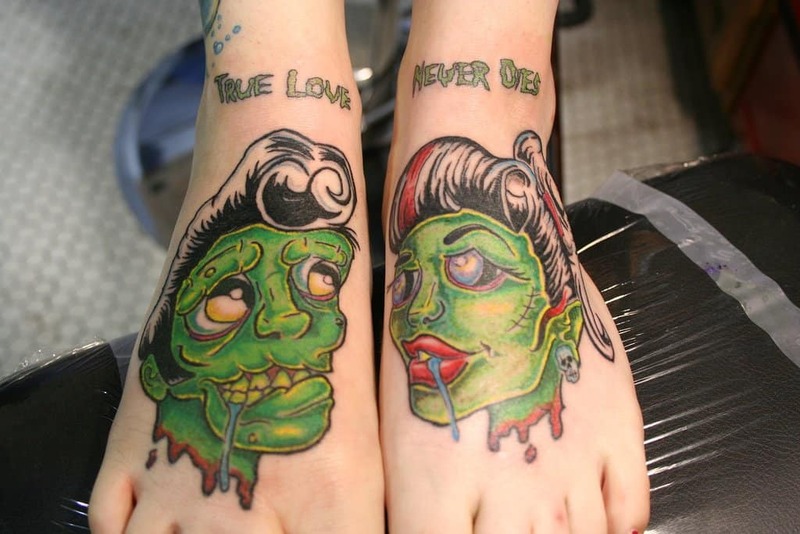 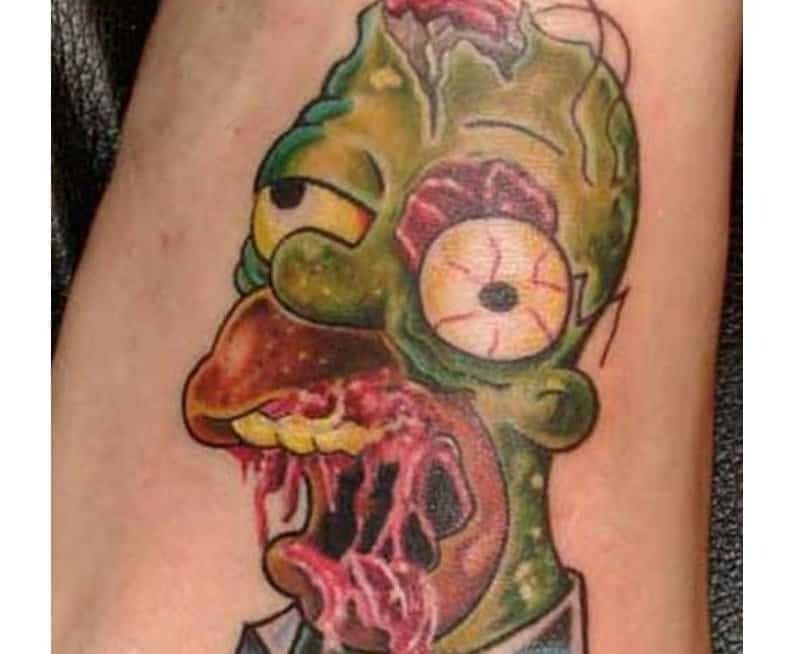 This is the tattoo you get if you really love both zombies and The Simpsons but don’t know how to combine the two. 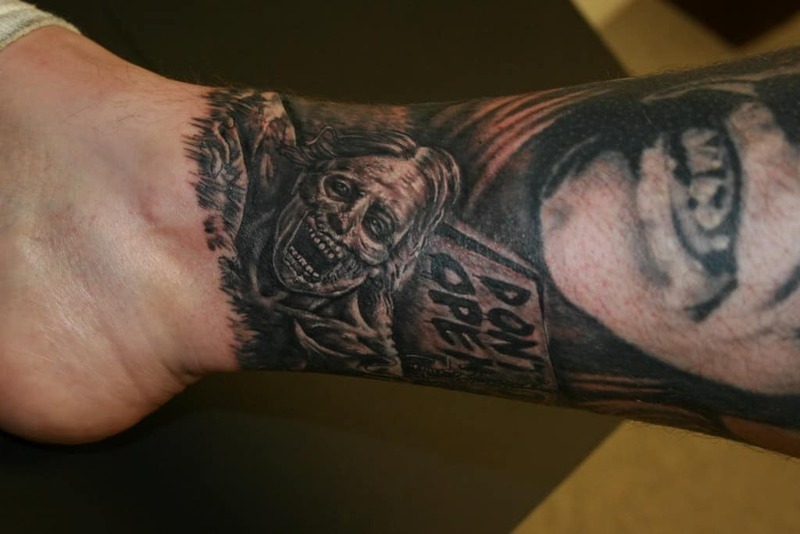 Including both the iconic bicycle zombie from the very first episode of The Walking Dead and the infamous words of “Don’t Open, Dead Inside” was an inspired choice. 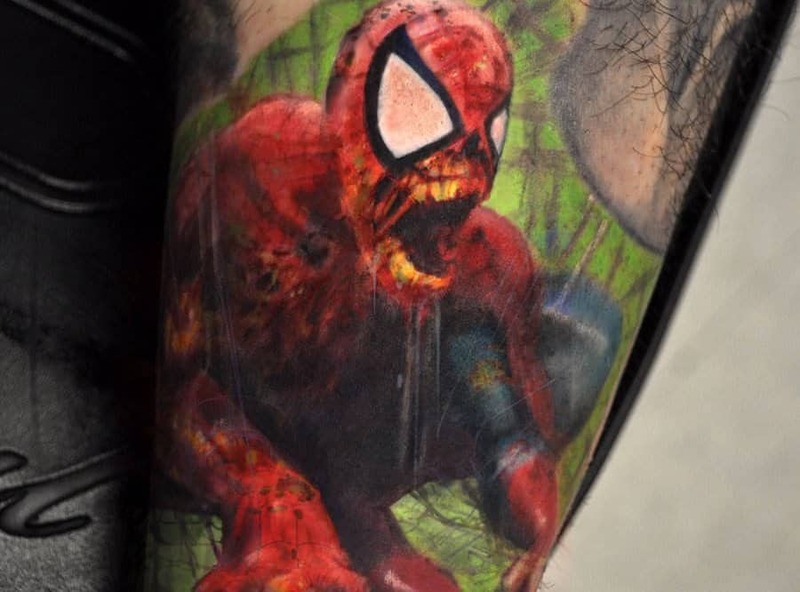 A zombie with all the superpowers of Spider-Man might be the stuff of nightmares, but this tattoo still looks awesome. 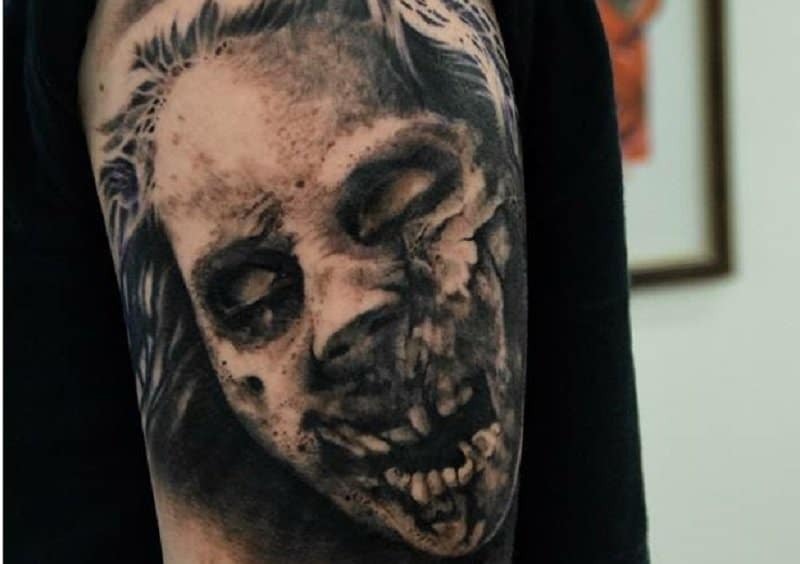 If you are going to have your arm covered in a zombie tattoo you might as well make it as gruesome and realistic as possible. 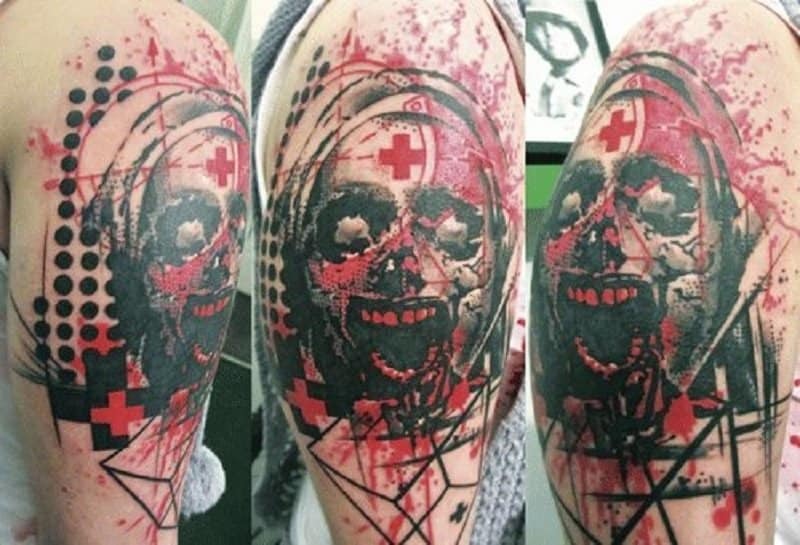 Zombies don’t have to be portrayed in black and white, while adding some color can actually enhance the overall image and look. 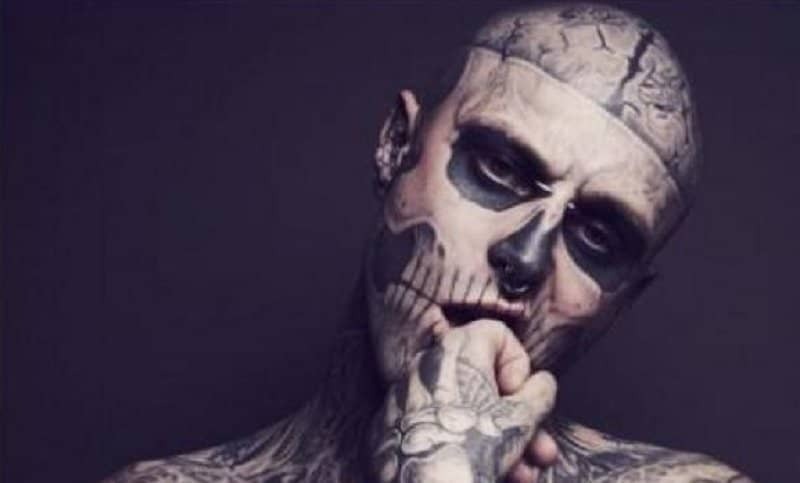 This guy took his love of zombies one step further than most by having his entire body becoming a walking mural to them, including this detailed head tattoo across his whole face. 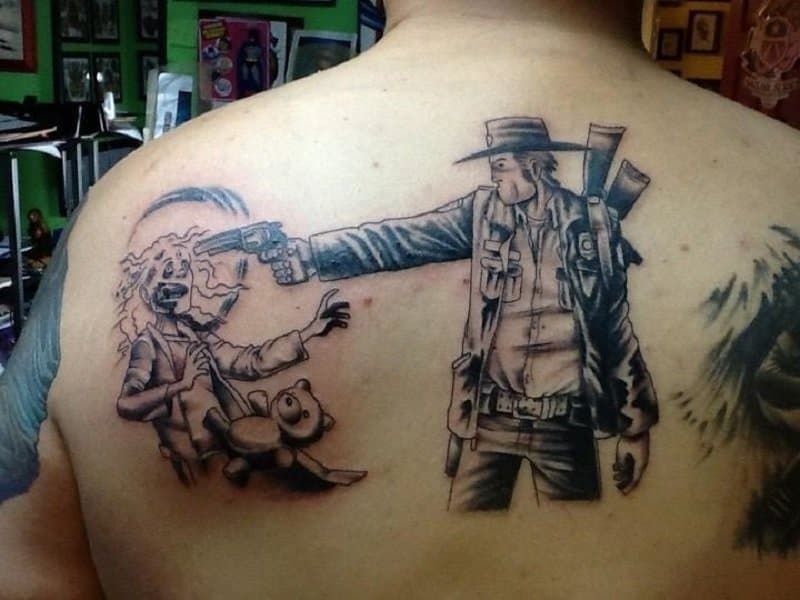 Messing with Rick from The Walking Dead doesn’t end well for most people, especially the undead. 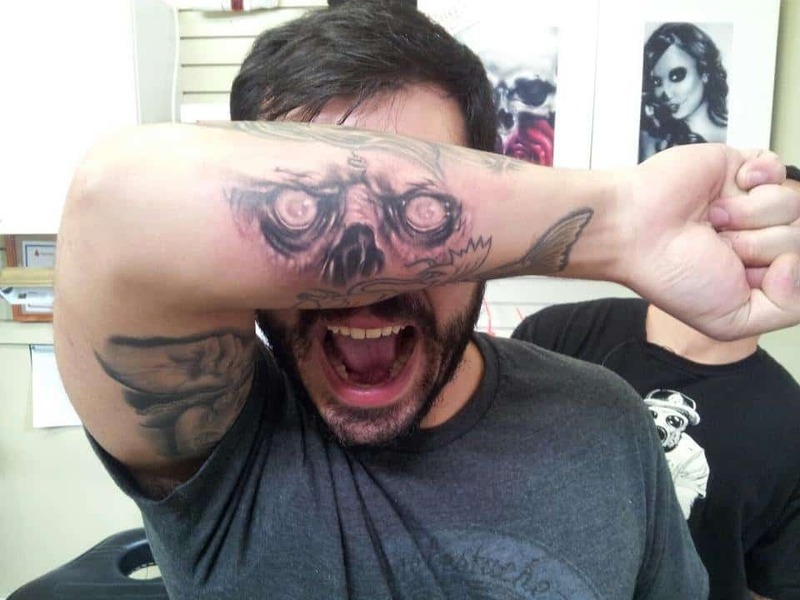 Not all zombie tattoos have to be grim, in fact you can even show some humor if you are clever enough.